More and more people are looking for alternative ways of transport nowadays, due to the fact that more and more of them are “forced” into a sedentary lifestyle, which they need to balance with a fair amount of activity. One of the increasingly popular ways to commute to work is by longboards. Longboards are a great way to spend some calories and are quite fun to ride. If you’re fit, you can use a longboard well into your 40s and even 50s. However, not every longboard is fit for commuting. That being said, the longboard you opt for should have some of the following characteristics: easily pushable, smooth, stable at speed, maneuverable, portable and easily storable. Additionally, you’ll have to consider the size. Longboards typically come in several different sizes, the most popular ones being 42, 44, 45 and 47 inch longboard models. The ideal size for you will depend on a few factors, with the main ones being the riding terrain and personal preference. For instance, a 47 inch longboard will perform great when riding downward sloping hills, while a 42 inch model will perform best when navigating through level terrain. In terms of pushability, the board should be capable of providing decent mileage and speed with minimal effort. Generally, this characteristic is found in longboards featuring low hanging decks. However, this characteristic is also impacted by the materials of the overall construction of the board, the size of the wheels and the bearings. Wheels with 70-76mm in size are ideal for commuting. Speaking of wheels, they also impact the riding comfort of the board. Soft wheels are ideal for riding on pavements, roads, and sidewalks, however, they aren’t the only thing that affects comfort – the bearings play a great role in this as well. Quality bearings allow for a smoother ride by reducing friction. 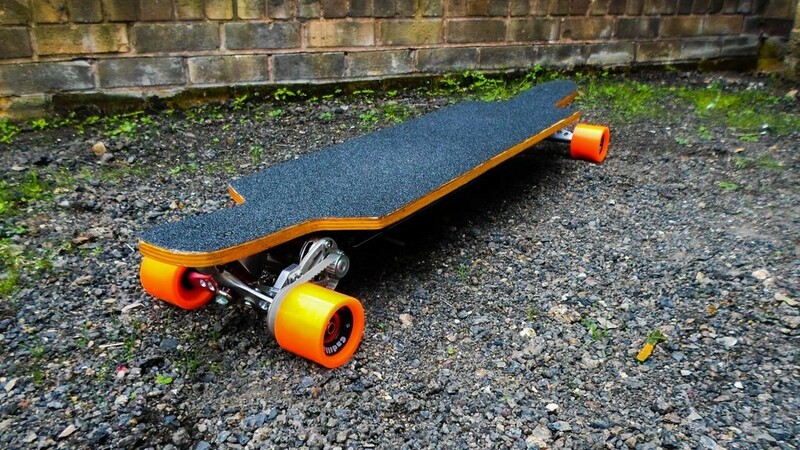 Last but not least, the longboard should be easily portable, so that you can pick it up and walk a certain distance before getting right back on it. If your commute involves running errands and visiting multiple locations, you’ll have to carry it inside the stores. Smaller boards are typically lighter, however, depending on the materials the board is made from, this isn’t always the case. Carbon boards are lighter than other types, no matter how long they are. The thing is – board length also affects comfort and it has been proven many times that long boards usually offer more comfort than short models.